I can't say I'm too enthusiastic about another action movie where the White House--or the president--is somehow compromised by a crazy terrorist and it's up to one guy to save everyone (unless it's the supposed 24 movie, because I am all for that). Eckhart plays the president, and the film also stars Angela Bassett, Ashley Judd, Morgan Freeman, Dylan McDermot, Melissa Leo and Robert Forster. 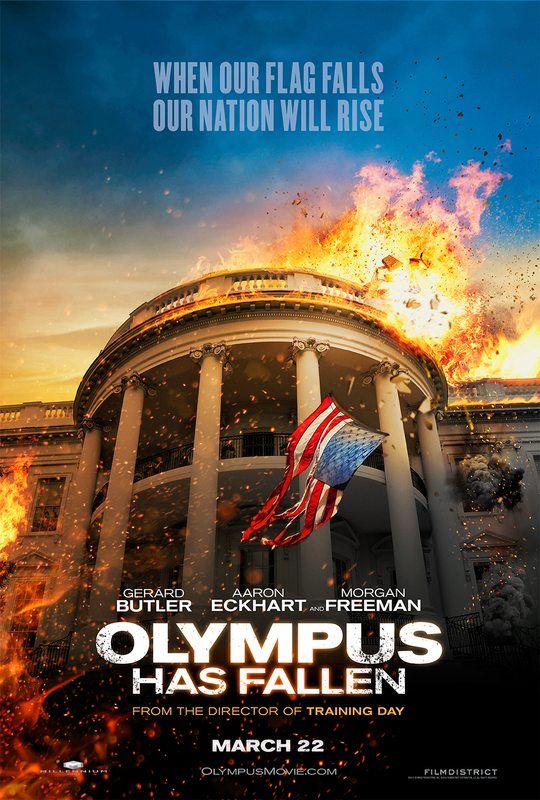 OLYMPUS HAS FALLEN releases in theaters March 22nd. I have high hopes for this film based off this trailer. I too had high hopes for Gerard Butler's career after 300, but he seemed to be a one hit wonder. We shall see. Trailer is like a bad collection of action movie cliches, looks like a total cheese fest.